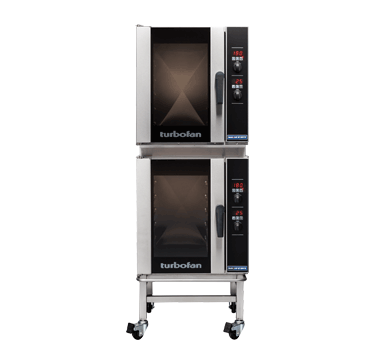 Dimensions W 24" x D 25-5/8" x H 34-5/8"
Dimensions W 24" x D 28-3/4" x H 29-5/8"
The new convection oven that is powerful, versatile, cost-effective and with exceptional productivity proves to be incredibly valuable to the modern commercial kitchen. 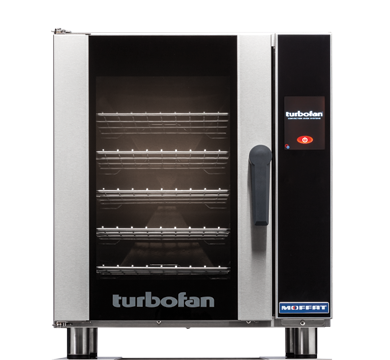 The ovens sit on a compact 610mm / 24″ wide footprint and deliver a substantial five 1/1 GN pan capacity with 85mm / 3.3″ tray spacing. 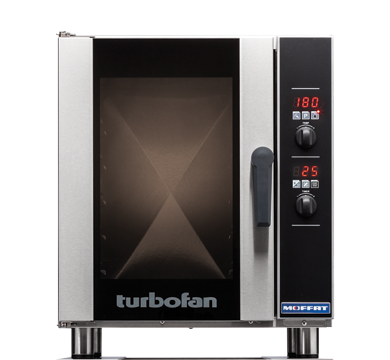 Large easy view displays, knob driven time and temperature controls to provide full electronic precision time and temperature accuracy. With this size and scope energy savings are maximised and food loss is minimised. That’s all the space and none of the waste. 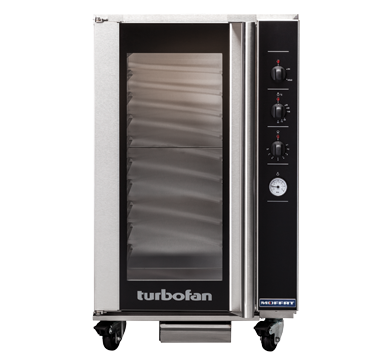 Can also be double stacked with a companion P Series proofer or H Series holding cabinet.